Prepare for Home Care with behind the scenes advice from Home Care Executives, interviewing/reference checking tools to help choose a provider with qualified caregivers and the most comprehensive background checks and drug screens. Outlined below is how this 4-module online course will transform your Home Care Decision from stressful and worried to confident and prepared. While the course is designed in 4 module, you will have access to all modules when you purchase. I realized you may be in a situation where you need an answer quickly and being able to peruse all the modules will help you get the answers you need when you need them. You'll be completely prepared for your Home Care Decision in 30 minutes. Focus on Home Care was specifically designed so you have the tools, knowledge and confidence to make the best possible decisions and life changing move for your family as easy as possible. Each module has several segments presented in short 20-minute or less videos that you can watch when you have the time and on many devices, from your smartphone, tablet, laptop or desktop. In this short, but powerful module you have created your care-giving or care manager role. You transform your life from being absorbed by care giving to a Care Manager. Now you have time for work, achieving your goals, participating in the milestones of your kids, grandchildren and spouse. You have time to spend with friends & take part in fun activities. Learn to increase positive outcomes for caregivers with comprehensive tools. You'll also get a home and elder care skill assessments so you can understand where your family member is struggling and other useful things like identifying tripping hazards in the home. In this module you will quickly and easily know what your loved ones' can afford. You are now in a position to begin identifying which Home Care provider to put on your list. In this module you create a plan to make the transition to Home Care easier for every family member. "Many Faces of Home Care" takes a closer look at all the types of home care you may encounter. "Transitioning to Home Care" outlines how to lessen the impact of a life changing move for your loved one. Important steps to take before strangers come into your home to keep your family safe. We look at the unexpected quirks that become home care hurdles and solutions. Preparing for this change and taking a few important steps helps everyone adjust. A comprehensive review of the services provided by Medical Home Care. You will know exactly what to expect from medical home care personnel and you are confident & prepared with tools to ask the right questions. You are armed with the tools & knowledge to make the best decision for your situation. We will review the role of the home care RN, Physical Therapist and Occupational therapist. You'll learn about their training, what to expect from each professional and how to best work with them. 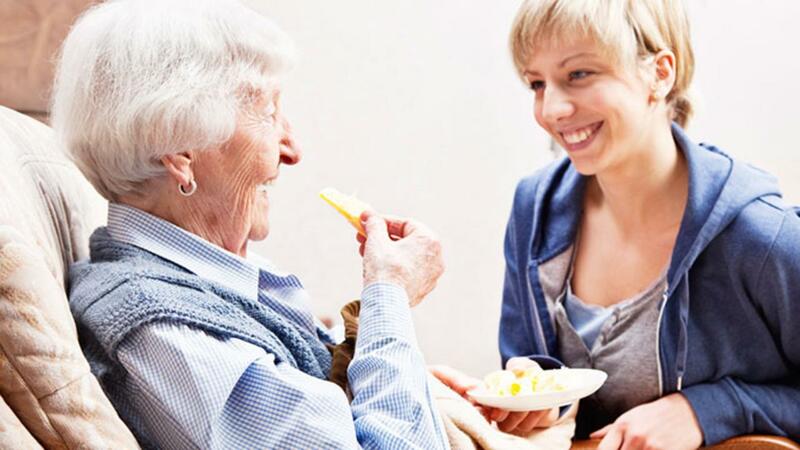 A comprehensive review of the services provided by Non-Medical Home Care. You will know exactly what to expect from non-medical home care personnel and you are confident & prepared with tools to ask the right questions. You are armed with the tools & knowledge to make the best decision for your situation. Non-Medical Home care provides the day-to-day support your loved ones' will rely on to remain independent in their home. "Transition to Assisted Living" is a segment that helps you create a Plan B. When you join the My Elder Care Journey Community, each program you purchase comes with free updates. So as the course grows, we incorporate people's questions & answers so you can have access to all those updates as part of your membership. Sign up Today! The introductory price of $197 (a $497 value) won't last long. In 30 minutes you will be fully prepared to choose a home care provider And there is a Bonus Module Your credit card purchase will be charged to Ullmann Molnar, LLC & you have a 30 day money back guarantee.